April 16, 2019 – Chris Gartman, partner in Hughes Hubbard & Reed’s Corporate Reorganization & Bankruptcy Group, has been named a 2019 “Outstanding Young Restructuring Lawyer” by Turnarounds & Workouts. The list honors 12 top attorneys across the United States under the age of 40 in the restructuring industry who have worked on prominent bankruptcy and restructuring matters. Chris has led clients to excellent results in three complex chapter 11 restructurings in the past year alone. 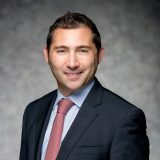 His success and leadership in the $225 million chapter 11 of CST Industries, the $2 billion chapter 11 of Cenveo, and the $240 million chapter 11 of Patriot National culminated in his recent promotion to partner and his recognition as a “40 Under 40” bankruptcy lawyer by the American Bankruptcy Institute. Chris’ work over the past year is particularly noteworthy due to his deployment of creative solutions to contentious plan and asset sale issues that satisfied debtors and creditors alike.